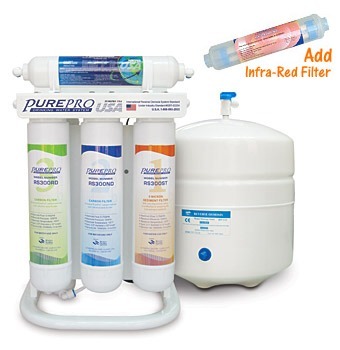 PureProR Quick-Change RO system uses the most advanced water treatment technology: "Reverse Osmosis". RO is recognized as one of the best available technologies for producing best quality drinking water. It's also the same method used by many bottled water companies to make safe and great tasting water. No other home water treatment system can offer you as much protection and reliability.